Where do you need Water Treatment Companies? Comment: We recently ought our home and there is white scaly resadue everywhere there is water or water used. 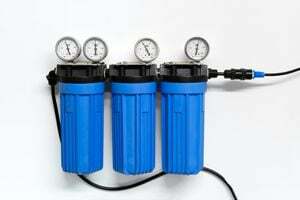 I would like to know the different types of water softeners and prices to install. Comment: Need to have the filter replaced (plumbed and new sand) It is a 24-inch filter, our pool is 18 by 36. Comment: I had a new GE water softener installed and I believe that the plumber did not hook it up correctly. It is not purifying the water!! Comment: I need an inspection/repair on a recently installed water softener. Comment: I recently bought a new GE water softener and had it installed by a plumber who hooked it up. It is not removing the iron from the water and does not filter water through the system correctly I believe. He is not knowledgeable enough to correct the issue. Help!! It uses salt crystals. Comment: Install whole house water filters. Have filters. Contractor to furnish ball valves, plumbing supplies, etc. 12924 Old Snohomish Monroe Rd. Maple Valley Plumbing & Pipeworks, Inc.
Auburn Water Treatment Companies are rated 4.70 out of 5 based on 259 reviews of 7 pros. Not Looking for Water Treatment System Contractors in Auburn, WA?